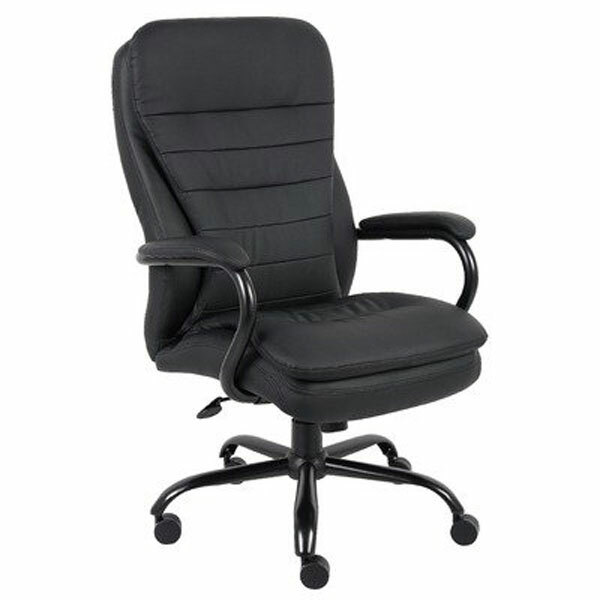 Heavy duty chair with weight capacity of up to 350 lbs. The arms are steel with an incorporated pad for comfort. This chair not only has a reinforced lumbar, but double plush cushions for added comfort.